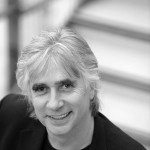 Professor Phil Redmond is Chair and co-founder of the ICC. Here he draws on his experience as Chair of the UK City of Culture Advisory Panel and Creative Director of Liverpool’s European Capital of Culture year to outline the many ways in which culture can bring about transformative social change. One of the reasons Alexis and I helped to set up the Institute of Cultural Capital five years ago is that culture – with a small ‘c’ – is a vital element of any society or city. No amount of initiatives can make an impact if you don’t simultaneously work to bring about a cultural shift. And, culture can be the main driver of change in a city. That’s why the ICC’s work is so important, because it can provide the underpinning research to demonstrate the impact and value of culture on communities. Sadly, politicians don’t engage with culture in the way they do with, say health or education, because culture is a nebulous concept. The folk who usually end up running our political structures also usually take a very narrow view of culture, tending to define it with a capital ‘C’ – and doesn’t recognise the value of diverse cultures in different communities across the UK. They’re London-centric too – too often believing that anything outside the capital must be second rate. 1. How do you define your culture? 2. How are you going to use that culture to bring about a step change in your city? If a city can’t easily define its own heritage or even find its soul, then it’s not right for UK City of Culture. Take Liverpool as an example: being Scouse is to have a particular state of mind. It’s what we call the ‘scouse justice gene’. Liverpool is a tough city that has seen some harsh times, but there’s an understanding among Scousers that good times follow bad – and despite the tough exterior, people are treated with diginity. Liverpool has been on the periphery of everything and the centre of nothing. Yet our culture is that we support each other. To bring about the necessary change in our city we knew we had to resolve our own problems and we looked to our heritage to help us do that. 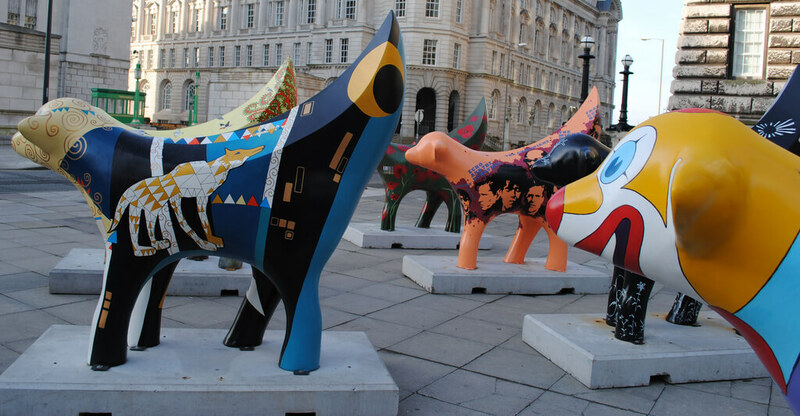 We looked to 2008, when Liverpool acted as UK host for European Capital of Culture, and used our culture to remind ourselves of our heritage. We were the richest city in the world in the 19th century, making our living through importing and exporting. And the richest city on earth could afford the best culture. That culture helped shape and change the city leaving behind a grand legacy of institutions, from the universities to the galleries and performance halls. Liverpool and its port enabled the world to change yet, through the years of economic and political decline, we had lost our confidence. But during 2008 we remembered where we had come from and the role the port and river had played in our heritage. Our culture gave us the confidence to say “we can do that again”, and the year enabled us to build more possibilities for the city’s future. Tolerance underlines culture, and successful events with a common bond can be relevant and engaging to disparate communities. One of the reasons American drama dominates global media is because the US is the classic melting pot and programme makers understand that they need to have common cultural themes in storylines. They find a plot or issue that every audience empathises with – whatever their ethnicity or background. For example “House” is a global phenomenon, and the most successful programme in the history of TV, because all audiences can relate to a medical theme, work place conflict or a dysfunctional colleague. In a soap opera, a storyline about an unwanted pregnancy will resonate with different audiences because it’s a huge social and family problem regardless of your culture. Different ethnic groups will deal with the issue in different ways, but a good soap opera will look at the emotion behind it and be empathetic, ensuring the storyline appeals to diverse audiences. For Liverpool 2008 our giant mechanical spider was a cross-cultural event, bringing together music, design and engineering in a spectacle which attracted huge crowds. It was an event that reached very different audiences, appealing to people who saw it as a piece of theatre or art, while others came because it was a feat of engineering. The power of office imbues the holder with authority – for example a mayor, a priest, a chief executive – and people respond to that. In the same way, a big scale event like City of Culture, gives those involved (and I include myself) what I call a “badge of authority” to do things differently, to challenge the status quo – and to implement creative, unconventional ideas. It’s a credibility that empowers people in a city to collaborate, to bring about cultural change. For example, that “badge of authority” could allow public funds for health, police or fire services to be used more creatively. If a city has anti-social problems with youngsters because they’re bored, organising activities or summer schools can alleviate the problem by giving the kids something to do, thereby not tying up police or fire and rescue services. In health care, you could organise free concerts on a Sunday so people go to work happy on a Monday – that might help cut absenteeism and visits to GP surgeries. You can give people the chance to try something new: to go the theatre for the first time, or a classical music concert. Funding for these ideas is possible because you say “it’s part of the city of culture” – so people are willing to try. Despite these being tough times for funding cultural events – and budget cuts will mean it’s harder to hire in freelance and often expensive directors, musicians and actors – there are opportunities for cities and communities to experiment using only their existing cultural assets. You might not to be able to stage a huge pyrotechnics display, but what’s to stop an electric light parade through a city with people bringing their own LED lights? We have anecdotal and empirical evidence for all of this. We still need an evidenced based methodology that “joins the dots” to “prove” cultural investment is not art for arts sake, but a necessary component in providing confidence, that leads to inspiration that leads to cultural activity. Cultural events bring footfall, footfall means people, people have cash to spend – that is the fuel of economic development. It’s that cultural shift, the way we think about what culture we have to bring about. Not just about what it is – but what it can do. At ICC we talk about culture as the sum of all of our creativity – so everything we do as a university, a community or a city. It’s not about one person, or group of people, “owning” the culture of that place. It belongs to everyone. As ICC celebrates its fifth birthday, I hope that over the next five years we can use the evidence from our research to convince more politicians and policymakers of the importance of culture as a force for positive change. We’d love to hear your stories about how culture is changing your cities and communities.